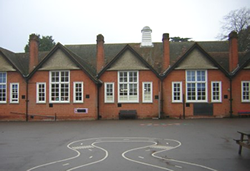 If you are thinking about Bagshot Infant School for your child, we’d love to show you around so you may see our school and meet the children before you complete your preference form. Please contact the school office to make an appointment. Surrey County Council is the admission authority for this school. To find up to date information about the school’s admission arrangements and details on how to apply, either as part of the normal intake or during the school year, please use this link to the Surrey County Council website.